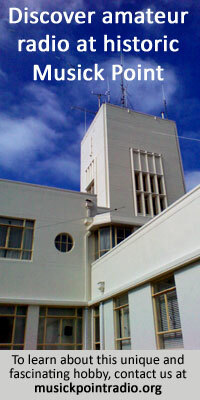 When I took over as senior tech at Wellington Radio ZLW, I was told that one of the station’s transmitters, a Redifon belonging to the New Zealand Navy, had a habit of suddenly turning itself on and auto tuning to (from memory) Channel 7. That channel happened to be a distress frequency for submarines, so not a good frequency to be transmitting on if you were a shore station. My predecessor and a number of call-out staff had not been able to identify the problem, which would disappear as suddenly as it came. This fault only occurred at night, when the station was unmanned by technical staff. One day when I arrived at the Radio Depot, I was told the fault had occurred again last night, so I went to the station determined to find the problem. First, I checked with the Wire Chief that all the control circuits between Defence House and ZLW were good. All checked out perfectly. Next, with the Navy’s agreement I took the transmitter offline and went over it very carefully and could find no trace of a fault. Everything was well built and, when tested, operated perfectly. The only component not tested was the remote control in Defence House. I rang the Navy and asked if I could come and check it. Not unexpectedly, I was refused permission as I didn’t have clearance. I then asked if one of the Navy techs could look at it. 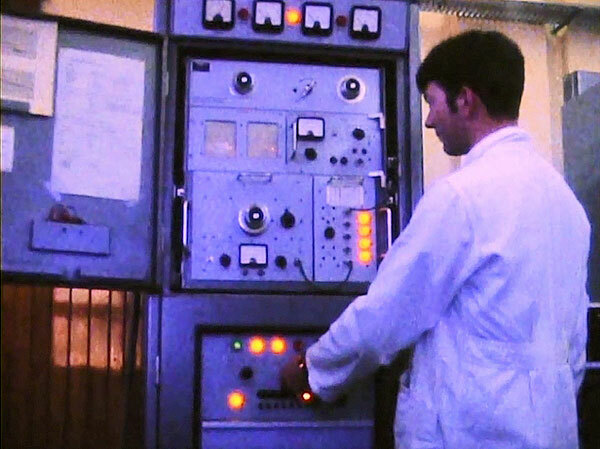 I was convinced that the problem was with the remote control but the Navy was of the opinion that the transmitter or lines were faulty – or both. One day a Navy officer turned up at ZLW and said he was going to fix the problem. He spent a couple of hours checking the transmitter, while his most attractive WREN driver waited in a car outside, before finally admitting the transmitter was working satisfactorily and left. The problem continued to occur randomly about once a week. This stalemate went on for months and was still going on when I left ZLW to travel overseas. While overseas I got a letter from a colleague saying that they had finally found the problem and it was, as I had believed, with the remote control. But the remote control itself wasn’t actually faulty. The Navy had finally relented and one of our more senior call-out guys was allowed to check the remote control. It was installed in a secure area and was working OK when he arrived. While he was discussing the fault with the person in charge, the cleaner arrived and started vacuuming the floor. Our call-out guy was about to leave when he noticed that the power-on light on the remote control had gone out! He checked and found nothing obviously wrong, then checked the power feed to find it pulled out of its electrical socket, and the vacuum cleaner plugged in instead! The cleaner, when questioned by the person in charge, said he always plugged his vacuum into that socket because all the power outlets in the room were in use. He had learned that if he pulled out any of the other plugs, it would activate an alarm and cause people to come running. So, as this one was conveniently located and it didn’t seem to be important, he always used it, and made sure he plugged the original power cord back in before he left. The fault occurred when the mains plug was pulled out on the RCU causing the transmitter to auto tune to the top channel fitted and go on a mark. The problem vanished when the RCU’s power plug was plugged in again. The random nature of the power being disconnected, then reconnected, after a time varying between about 10 and 20 minutes caused a lot of difficulty in tracking this problem down. It had always disappeared before it could be investigated, and as there was actually nothing wrong with either the RCU or transmitter they also tested good when checked after the event. So ended a longstanding, head-scratching saga. One of the problems was that we didn’t have the circuit for the remote; the Navy only gave us info on the transmitter. Otherwise we might have figured out much sooner what was happening.